On the 6th of December 2018, the Department of Health & Social Care released a 50-page consultation document to assess indemnity cover for healthcare professionals who purchase their own indemnity for their private practices. 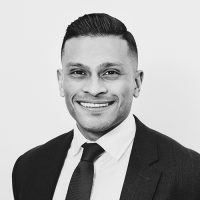 There has been growing concerns that the existing indemnity arrangements that are available to healthcare professionals through discretionary indemnity providers (also known as Medical Defence Organisations - MDO’s) are not suitable. This is because MDO’s do not have any contractual or regulatory obligation to meet the costs of any claim which leaves medical practitioners personally liable to pay for claims and their own legal representation. The consultation is therefore proposing the option of making it mandatory for healthcare professionals to maintain contractual insurance policies for their medical indemnity arrangements. Contract certain terms and conditions for indemnity. Regulated and overseen by the Financial Conduct Authority (FCA) & the Prudential Regulatory Authority (PRA). Bound by “treating the client fairly” (TCF). Inclusive additional extensions of cover (varies from insurer to insurer) e.g. Public Liability Cover, Libel & Slander cover, Reputational Damage cover, Defamation cover, Tax Protection cover, Criminal Proceedings cover etc. As a response to the recent consultation, the Medical Defence Union and their Chief Executive, Dr Christin Tomkins posted a response on their website titled: MDU says of medical indemnity consultations: If it ain't broke, don’t fix it. The article explains how and why contractual insurance medical indemnity is unnecessary and how a change in the current legislation will not make an improvement to the current arrangements. 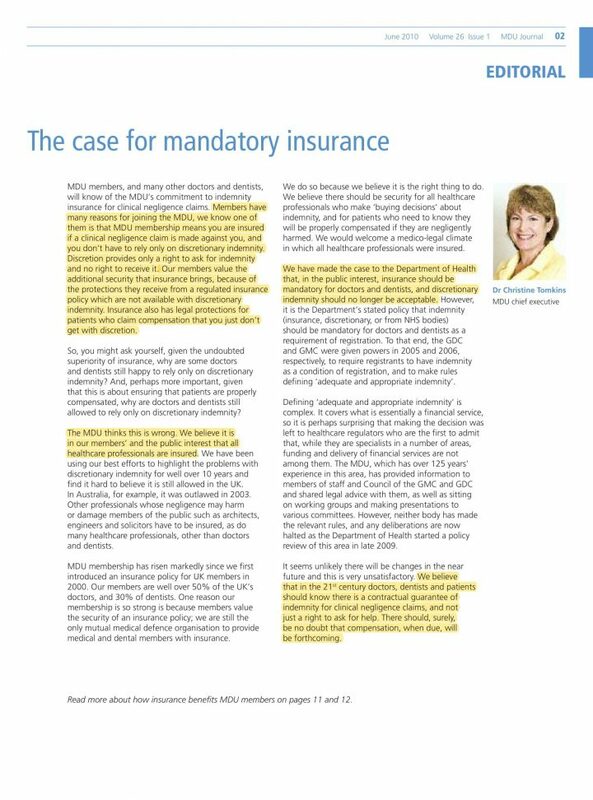 The full publication can be read below, but it seems to me that the MDU’s views about indemnity requirements are inconsistent. At Servca, we believe in educating medical professionals about their indemnity and risk management procedures. As an independent, owner-managed Lloyd’s Broker, our role is to provide options to our client so that they can make an informed and responsible decision about their indemnity requirements. We know how confusing and misleading it can be to make such important decisions and we’re here to make that process easier on you. Whether you decide to take up one of our indemnity solutions or not, our commitment is to healthcare practitioners. Our solemn vow is to provide expert advice at all times without any compromises.